Series dedicated to Mariano Fortuny Marsal. Day of the stamp. Issued on March 25, 1968. Comb 13 ¼ Rotogravure. Print run 6,000,000 in sheets of 100. 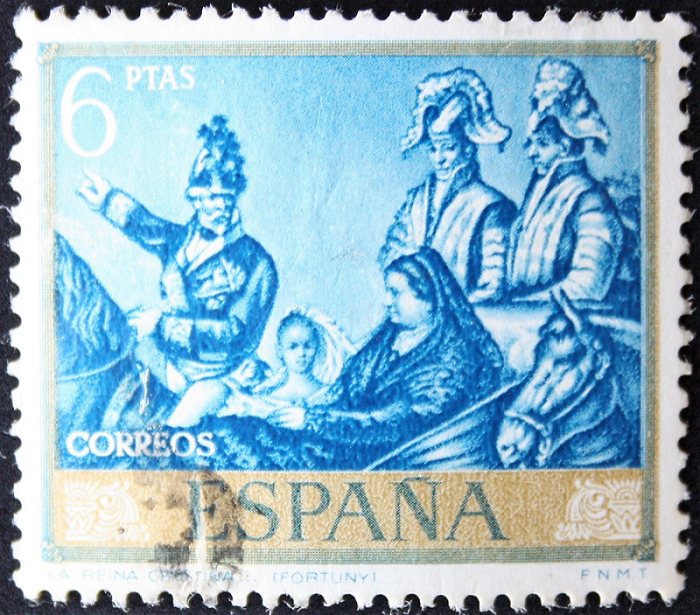 Face value of 6 pesetas. Golden frame and blue color. GODO-LUIS COLLECTION, free license with citation of authorship (profesorluisduran). Creative Commons AttributionGODO-LUIS COLLECTION, free license with citation of authorship (profesorluisduran). Creative Commons Attribution.